Getting Started With DHTMLX | Web and mobile development tutorials. There are so many libraries coming out every day to build a client side web application on Web Browsers. Few of them focus on building application along with amazing effects (Jquery, dojo), some only focus on DOM manipulation. There are few libraries to build widget type of applications. For example KendoUI, JqueryUI. But the problem with them is we need to access DOM. There are some libraries by with we can create a rich widget type client-side application without manipulating any DOM. One such library is DHTMLX. There is two DHTMLX suite edition available for us. One is standard edition which comes under the GPL-licensed project for free. You can use it for your personal as well as commercial projects. Second is a professional edition. You need to buy a license for this. Both are almost same except for Professional edition we will get customer support and few extra features and components. Make Your overall application structure as below. One Important note is open your DHTMLX application only from a localhost(HTTP protocol) not from the file system(file:// protocol not support). This is your minimal HTML code you need to write. From here we won’t modify anything in this file. This very important to give your body with and height to 100%, Otherwise DHTML component won’t render properly. From now onwards we’ll write all code samples on app.js file. Let’s first write our minimal app.js code in a modular pattern. We have different components like Accordion,Calender,etc. We need some thing to hold those components. In DHTML we basically use two major type of containers to hold our components. Let’s start with layouts concepts. Change your app.js file as below. Now let’s add a component to our layout. Here, loginFormJson is formed structure we want to create. We can create formStucture in either XML or JSON. But for the sake of simplicity and fast rendering always use JSON format. To add any component to layout first we need to capture a cell and then only we should attach our component. 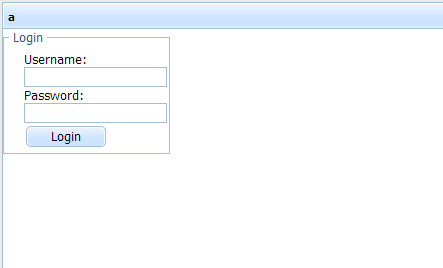 So, now we attached our login Form to your layout. Similar way we can attach any component to the layout. The second type of container is dhtmlxWindow. This is very useful one. Let’s modify the above code. To deal with dhtmlxWindow first we need to great a window abject. setImagePath will be used to point where DHTMLX imgs and icons reside. By default, it will point to codebase but since we changed to codebase 3.6 we need to set path properly. 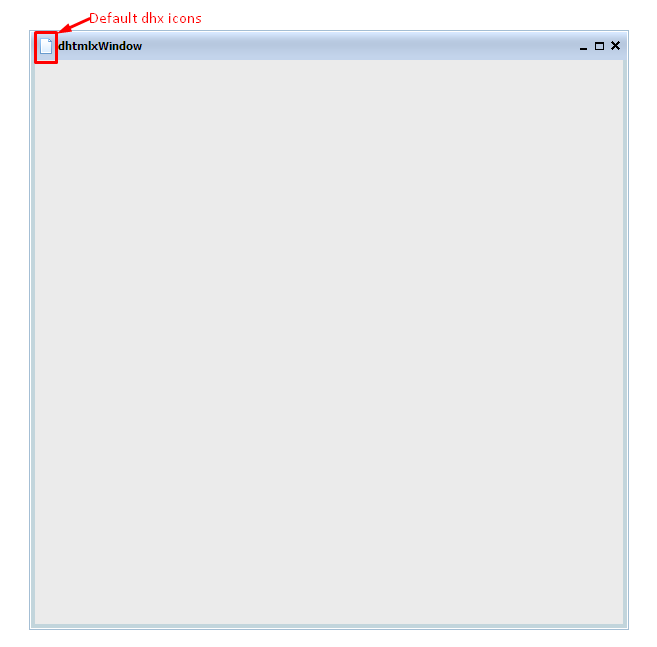 We use the createWindow function of dhxWindow object to create dhx window. 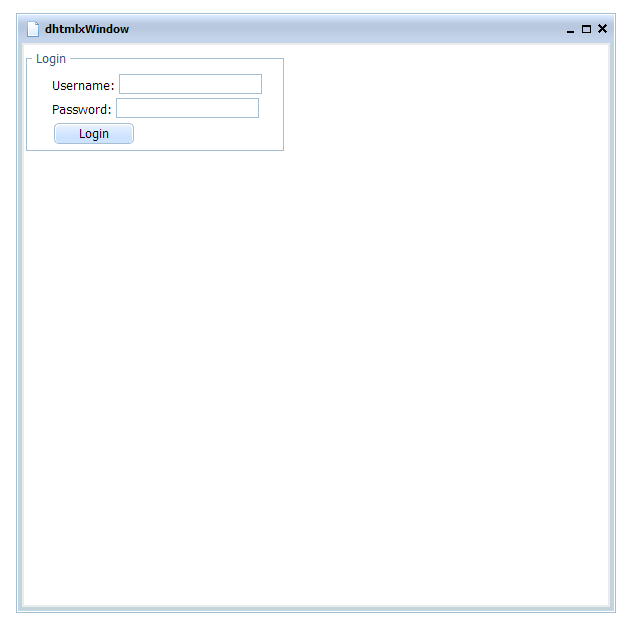 In above code “MyWidow” will be the name of the window we will use it to identify the window in our application. If we want to access our created window we will use dhxWindowObj.window(“MyWindow”)code. 500 will be the distance from the left side. 100 will be the distance from the top. 600X600 will be window width and height. Now, let’s add the form that we added to the layout before. Similar to Layout Concept we can add any control to the window. This very beginner level tutorial to interduce you DHTMLX. I will write a more advanced level post on DHTMLX soon. Stay tuned.